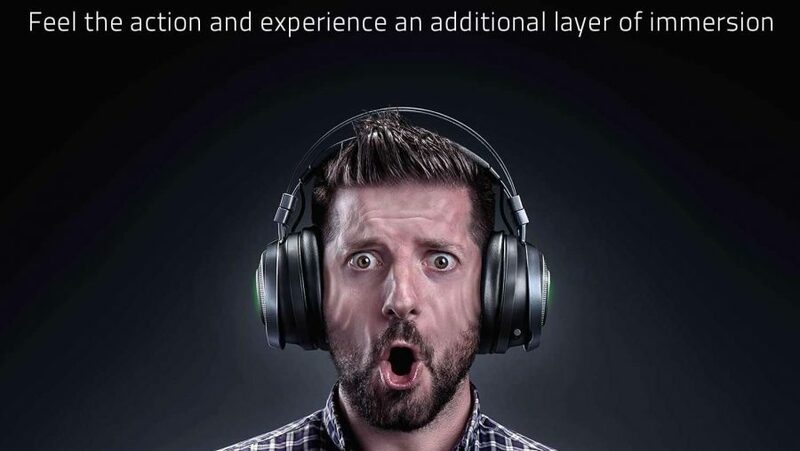 Razer’s new Nari Ultimate headset wants to mash your brains up like week-old blancmange. Sound appealing? No, not to us either. 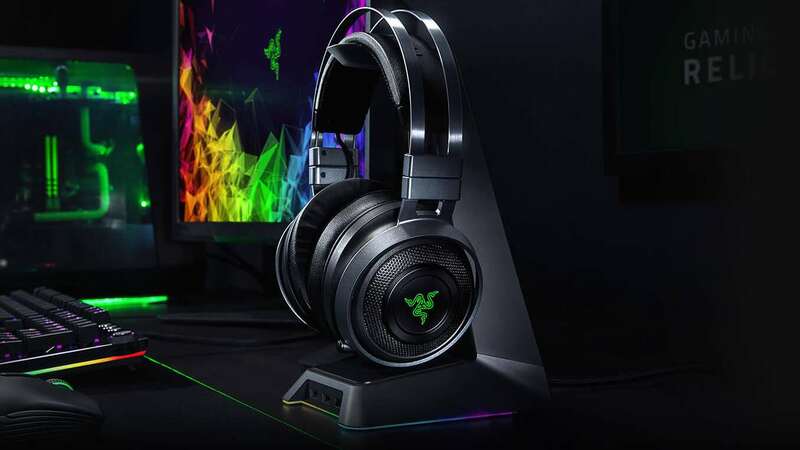 But the new HyperSense haptic technology built into the wireless cans will thump your ears, sending shockwaves through your skull, with every round fired in Battlefield V.
I’ve been a bit of a convert to Razer kit over the last few years. For the longest time I had a bit of an issue with the company’s PC peripherals, feeling they were more about style over substance, but the last few mice, headsets, keyboards, and machines I’ve tested from Razer have been almost uniformly excellent. And that excellence has come from their simple design, function, and build quality, and not from some bizarre gimmick or a desire to look like they stand out. Immediately the Nari Ultimate looks almost identical to the brilliant Razer Thresher Ultimate headset. That’s no bad thing at all; I loved the surprisingly understated design of the Thresher cans, and the floating headband makes both Nari and Thresher feel light without ever feeling like they weren’t securely in place atop your skull. The only slight difference, beyond the PS4 or Xbox blue and green stylings of the Thresher Ultimate, are the ear cups are ever-so-slightly broader on the Nari. That’s because there’s a lot more technology baked into the Nari headset than there is in the Thresher. Though sadly not as much audio quality, but then that’s not what the new cans are about. The Nari Ultimate is all about those haptics. The HyperSense feature feeds off the audio coming into the headset and so it operates whether you’re gaming, watching cat videos, or listening to music. The only three things any sensible human does with their expensive computer. There are eight different levels of haptic ear-punch available in the Razer Synapse software, as well as Bass Boost, Sound Normalization, and Voice Clarity settings. And there’s also the ubiquitous RGB LED configuration tab too. Where the HyperSense haptics are at their most impressive is when you’re running around a virtual world with the sounds of warfare all around you. The spacial audio is seriously impressive, and functions especially well with the haptics, letting the vibrations move around, and increase and decrease in intensity in conjunction with the direction your game avatar is facing and where the noise is coming from. There are some instances of haptic feedback that I find absolutely immersive, but that kinda begins and ends at the force feedback of a good steering wheel and maybe its pedals. I don’t need to have the sides of head stunned with a haptic punch with every slight sound when I’m playing Battlefield V or Call of Duty: Black Ops IV. It’s actually rather fatiguing, and if there’s something I don’t want my headset to be it’s tiring to wear. I’ve often got them strapped to my bonce for a good long while throughout the day. And it’s a very weird feeling too, not something I find immersive; if anything it does more to pull me out of the game than entrench me in it. A good headset will have the audio quality to immerse you in the world by virtue of a detailed, natural soundscape, not by hoofing you in the head every five seconds. I’m not saying the Nari Ultimate is a bad headset, though. You can turn off the HyperSense feature in the Synapse software, which will allow you to listen to music without the bass and kicks piercing your own ear drums, and they deliver decent sound. They’re a little louder without it too, with the Nari Ultimate otherwise lacking a little on that front with the haptics running. The HyperSense feature also does little to help the battery life of the wireless Nari Ultimate either. I found myself plugging in to charge far more often with the haptics enabled than when I’d found out how to shut it down. 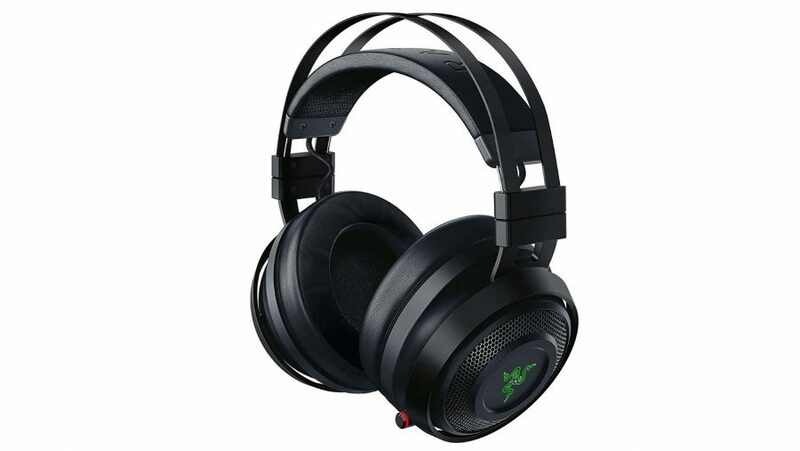 Aurally, though, they’re not a patch on the excellent Razer Thresher Ultimate headset. 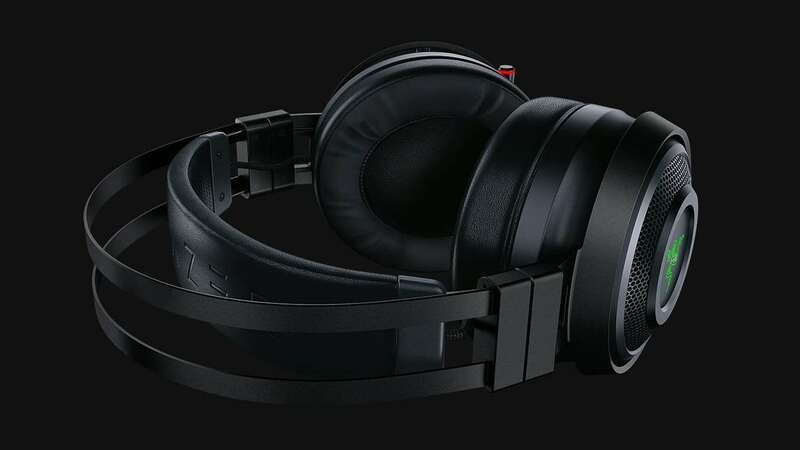 The Nari Ultimate has a very basic 20Hz – 20,000Hz frequency range, like a million other gaming headsets, and that means it lacks the clarity and stunning detail of the Threshers. They’re also maybe a little bass-heavy too, which dulls the high-end sounds a touch too. The Thresher’s audio is far more intricate and detailed, with its drivers rated for a frequency range of 12Hz – 28,000Hz. With high-quality audio, such as with Tidal’s Master Quality music, the difference is clear, and the same goes for in-game too. And there’s not much in it in terms of price either. The Nari Ultimate is $200 (£199) while the Thresher Ultimate is $218 (£212), and I’d much rather pay for my ears to be massaged with beautifully rendered audio, than be mule-kicked in the side of the head repeatedly. The Nari Ultimate delivers decent wireless audio, but at a price that’s only just shy of the superior Thresher Ultimate. You’ve really got to want to have your ears boxed by the HyperSense haptics for that price.